I had originally planned the first post in this series as a companion piece to the Cheetah post for the Friday Ark. One of the points I wanted to address was the issue of great whites preying on juvenile Megalodon. Since cheetahs have extremely high infant mortality I thought the two would complement each other nicely. Unfortunately, I got extraordinarily busy and didn’t have time to do it then. At any rate, I ended up somewhere else from where I intended. Originally, I was going to recount the evidence favoring the relationship with mako sharks, mention the predation on juvenile Megalodon and pretty much end it there. 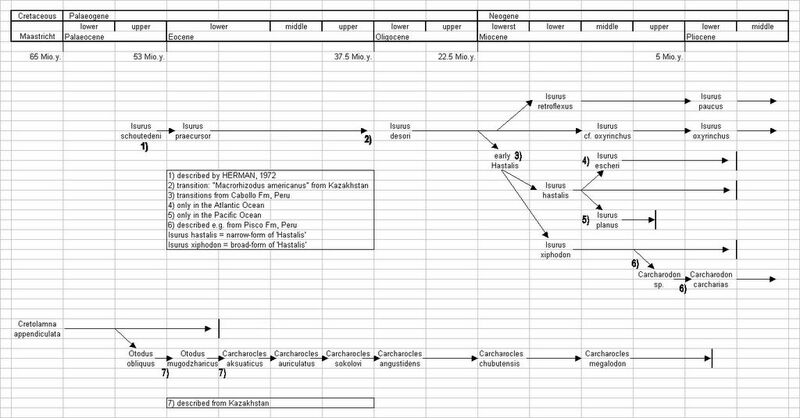 However this raised the broader question of what caused the extinction of Megalodon and I ended up talking about reproductive isolation between two populations of killer whales. Although I didn’t perform any experiments or do any paleontological fieldwork, this is a good example of how science works. Start with a simple observation or question (Megalodon looks like a Great White – are they related?) find evidence (the characteristics of all those teeth as well as their position in the fossil record)then take stock of the implications of that evidence for your hypothesis (nope – not related). The evidence raised new questions (well then, if Megalodon didn’t evolve into Great White sharks, then what happened to them (my answer: they were outcompeted by killer whales). 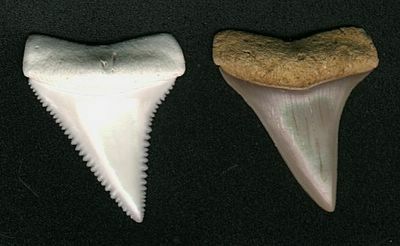 At this point we could frame a new hypothesis and ask ourselves what kind of evidence would confirm or deny the theory (noticible absence of megalodon in areas with a lot of killer whale fossils or maybe a statistical analysis of the incidence of Megalodon in areas with great whites, bite marks on what few parts of Megalodon would fossilize, demonstration that the territories and niches of either great whites or killer whales overlapped with that of Megalodon – there are other, better types of evidence that would support or refute the idea, but you get the picture). then the process would start over, but at a higher, more general level. Whatever questions we asked of the data and whatever answers we received would apply at a wider, more generalized level till we ended up with…? (Hint: Something of great explanatory power that unites a wide variety of phenomena.) Note, though, that in this example, we did not work in a lab -we worked out in the field. Nor were we trying to explan something we personally witnessed (kind of like the resurection – no one saw that either – just saw an empty tomb and made assumptions – yes I’m feeling snarky) yet we are still able to make predictions and test our hypothesis. So the question becomes, if Megalodon did not evolve into great whites ( i.e., if they were not a chronospecies) then what happened to cause them to go extinct? 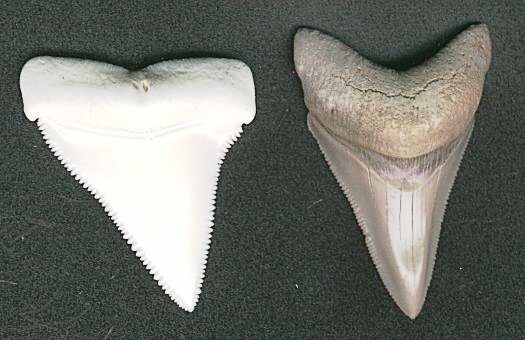 One site argues that it was competition with great whites. 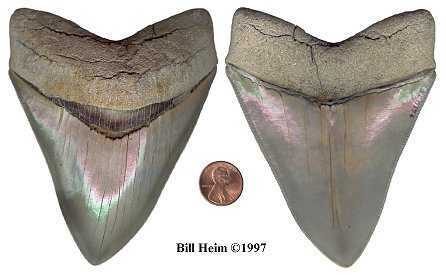 Specifically, early great whites were outcompeting/preying on juvenile Megalodon which caused Megalodon to go extinct. As the cheetah post, of a few days ago, shows high infant mortality came be overcome. It is adult survivorship that is important. Another theory has it that oceanic temperature cooled off around the end of the Pliocene. My own hypothesis on the subject is that they were outcompeted by early killer whales (which go back at least 5 million years). Killer whales are warm blooded and travel in packs – which makes them efficient predators. They frequently team up to kill larger whales (such as blue whales)and occasionally eat great white sized sharks. They are, approximately, the same size as Megalodon and would have been trying to fill the same niche. What would it take to confirm my hypothesis and how can I broaden it into a theory? That is a subject for another post. In the meantime, awhile back I had written a post on killer whales. Killer whales (in the Pacific Northwest, that is) are divided into three different forms: residents, transients and offshores. These three forms differ in morphology, ecology, behavior, and genetic composition and,it should be added, cultural behavior. The resident population is divided into northern and southern residents and thes two populations are reproductively isolated from each other even though there is a partial overlap in territory. I am wondering if this is the beginnings of a sympatric speciation event?